Welcome to a new week of fun. Last week we had a lot of great entries. 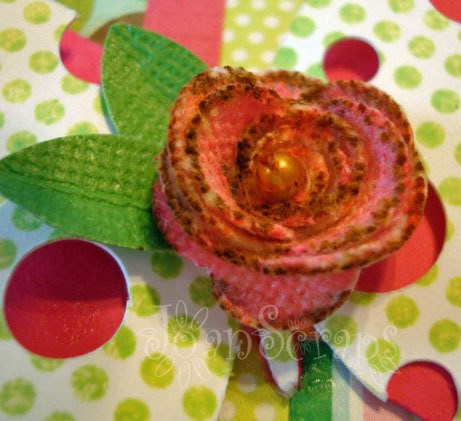 We bet this week we will have a lot of great creations too because we have an all time favorite theme... POLKA DOTS!! 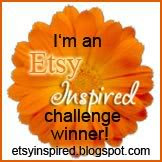 They are use in fashion, decorating, publishing... just look around and you will find a world of inspiration. We can't wait to see what you come up with so let's get started. For this week we have two fabulous sponsors. * A "Toodle Club Membership" and a free Toodle Birthday Calendar. Total prize package is a $29 value. 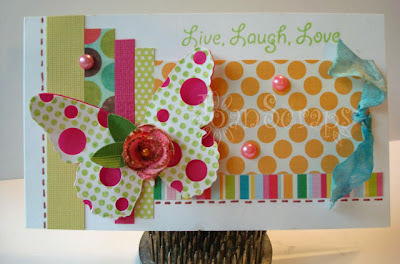 For my card I used polka dots in different ways. 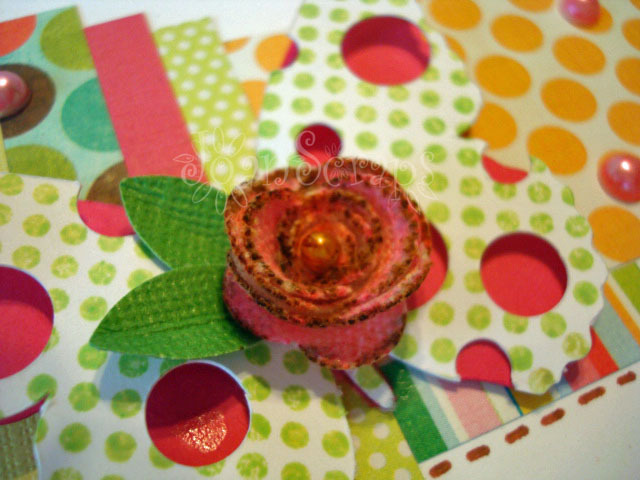 I used design paper, stamping and die cutting. I added some circles to a digital butterfly and cut it with my digital cutter two times. One with the polka dots and one in a contract color without the polka. Then I stamped some polka dots to the white piece. Sorry about the picture, the light here today it's not very good and these are the best images I could get. I added some color to the canvas with my Copics. Hope you get motivated to stack up with us this week!!! I love it! The colours are fabulous and the butterfly is so pretty. Joan your card is sooooo pretty. Love all the different polka dots and that butterfly and flower are amazing. Joan tu tarjeta esta bella y esta mariposa me encanto con el detalle de la flor. Te felicito! Gracias por tu inspiración. This is just gorgeous Joan! Love the different strips of patterned paper, simply gorgeous! Oh, Joan, how sweet is this! 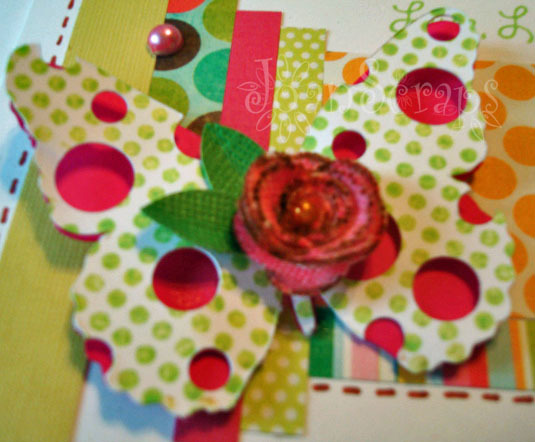 i love how you used polka dots all over the card - to add fun & interesting visual texture!